Islamabad: Pakistan's former president Farooq Ahmad Leghari died yesterday at the age of 70 at a military hospital in Rawalpindi where he had been undergoing treatment for a heart condition. Leghari, from a wealthy land-owning political family in the district of Dera Ghazi Khan in Punjab province, was president of the country from November 1993 to December 1997. He was elected president with the backing of the Pakistan People's Party (PPP), but his relations with then Prime Minister Benazir Bhutto soured in 1996. The longtime friend dismissed the government for alleged corruption and misrule. 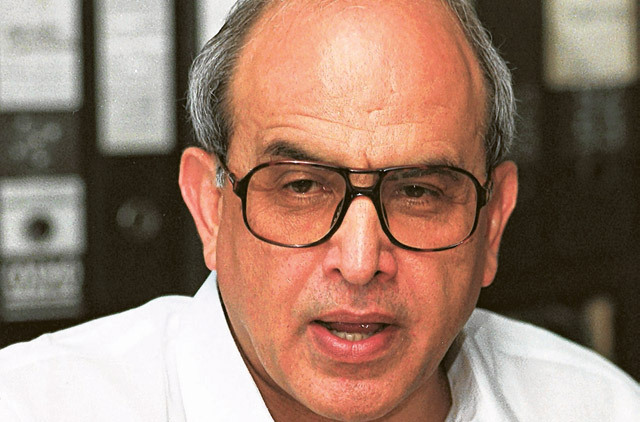 Leghari resigned in 1997 as a result of a conflict with Nawaz Sharif who had become prime minister after his party won the elections held after Bhutto's dismissal. He remained active in politics, heading his own political faction. His body was flown yesterday to his village in Dera Ghazi Khan where he was to be buried later in the day. Leghari was the country's eighth president since independence from Britain. Born into a wealthy family to a father who served as a cabinet minister in early years after independence, Leghari studied at Pakistan's top schools before going on to Oxford University. He returned to Pakistan to join the civil service and entered politics after the death of his father, Sardar Mohammad Khan Leghari, becoming a founding member of the PPP under future prime minister Zulfikar Ali Bhutto in the 1960s. Leghari also briefly served as foreign minister in 1993 during Benazir Bhutto's second stint in government. After stepping down as president, he founded the centrist Millat Party and was elected to the national assembly in 2002.